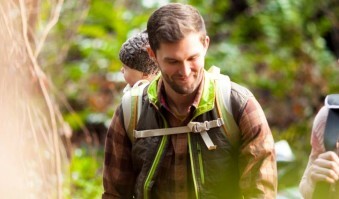 Taking daily walks with your dog is a great way to burn calories and be healthy, but there’s actually a lot more that you two could be doing together to get fit. 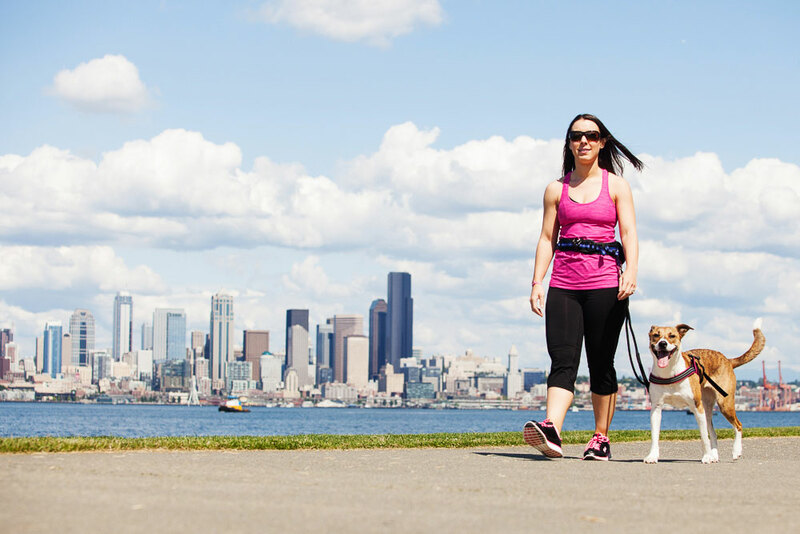 “Working out with your dog is an opportunity to have a fuller, more complete life,” says Rich Thompson, owner and master trainer at Fetch Fitness in West Seattle. 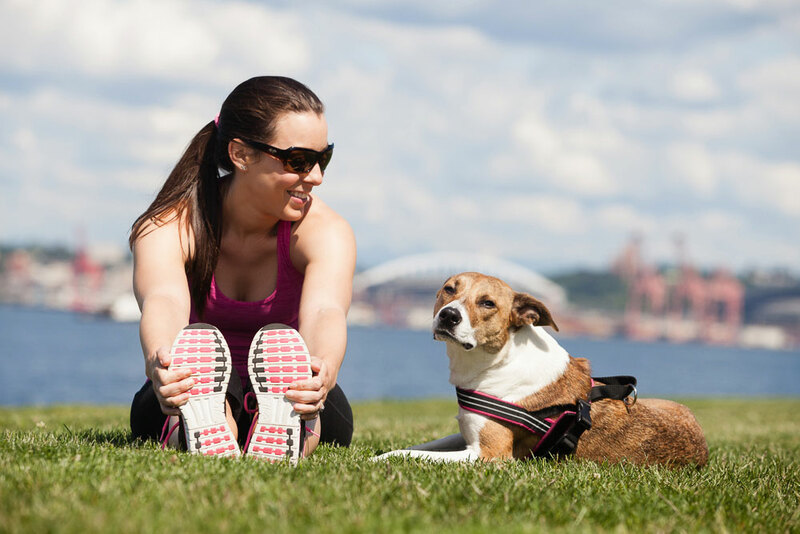 Here are a few ways to make your pup-filled exercise sessions more successful endeavors. Thompson suggests categorizing your dog (for example, high endurance, high energy, really sedentary, large or small) and then base the type of workout he’d enjoy (and be able to execute) off of that information. “It doesn’t mean you can’t go jogging with your Chihuahua – but it does mean that you might have to carry him for part of your run,” Thompson says. You should be creative and sample a few different types of workouts together to see what works best for you as a team. “Dogs need structure, but they also need to know that there’s a start and an end to things. Plus, interval training gives you an opportunity to incorporate strength and cardio into your routine, giving you a functional, full body workout in a short period of time,” says Thompson. Try combining short bouts of big movements, such as walking, running or lunging, with stationary strength training intervals like stopping at a bench and doing push-ups, triceps dips, one-legged squats, or planks. It’s great to work with a trainer who can help you learn how to better communicate with your pup before you start exercising with them, notes Thompson. It’s essential for your dog to know how to heed certain cues and follow the rules, otherwise it’s going to be tough to work out together. Staying adaptable is super important. “You may have the perfect route set up and then your French Bulldog just stops all of a sudden halfway though. You have to be willing to modify your workout as needed, or else you’re just going to be disappointed,” says Thompson. You’ll learn fairly quickly what tricks help motivate your dog to finish workouts, but dog treats are a pretty safe bet. And keeping your dog hydrated is really important, especially as the weather heats up, notes Thompson. “There’s a lot of great gear out there that helps make exercising with your dog easier – running leashes that attach to your waist and that sort of thing,” says Thompson. Keep things fun and teach your dog to socialize with other pups and people by signing up for a race. Check out the upcoming Furry 5K in Seattle or the Four on the 4th Dog Jog and Walk in downtown Bellevue. 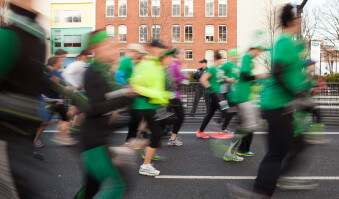 In Portland, try the upcoming Paws for Parkinson’s dog walk or the Bella Organic Dogathon 5K.